Will Ong.Social Be The Next Facebook Or The Next TSU? The other day on our YouTube channel we released a brief overview of Ong.Social which is a brand new social network. Unlike several others this one is ‘built on the blockchain’, and has plans to begin paying out in cryptocurrency. In fact, OnG is a cryptocurrency itself and over the weekend their ICO for this coin launched. Exciting times lay ahead! Specifically for Ong.Social, which potentially could become the Next Facebook. Then Again, will Ong.Social be the Next TSU? TSU was an exciting social network that launched about two years ago, but went out of business. We attached ourselves to that network, and believed in the vision. However, there are plenty of reasons for why TSU didn’t make it. So many of these reasons stand as valuable lessons, that Ong.Social will want to avoid if it wants to become the Next Facebook. That was TSU’s mission afterall, just like so many social networks. They are the granddaddy and so, naturally they are the goal as well. If you’re running a social network and don’t want to become as big as facebook, then what are you doing? Why are you even in the space for, if you aren’t striving to be the best!? TSU took it’s jab, and did so unsuccessfully. I’ll give you a few reasons why right now. The $100 minimum payout that TSU established was just far too high! When earnings are based on views, and the value your profile is bringing to the network then those earnings are sure to vary. The way the business model was set up for TSU gave people with the ability to refer others, an advantage over others. It also made it much easier for some to reach the payout, than it did for others. Being paid in ‘fiat dollars’ may also be a strategy that has exhausted itself. Right alongside the idea of asking people to ‘pay to use a social network’, we have come to discover that no one really wants to be paid in dollars. Getting paid in cryptocurrency though? That’s a much more exciting proposition. TSU also had too many changes to their compensation model, which I feel was a reaction to yet another failure on their part. They added a report button, and that’s always a huge risk. Whenever websites give the power to the community to regulate others on the community it’s problematic. False flagging is a real challenge in the social network universe, and some companies handle these ‘reports’ better than others. The simple fact is, TSU was not ready to properly handle reports, which often led to people losing their social profiles and all accumulated earnings. Once the word spread that people were losing their accounts on TSU, activity dropped. With a business model who’s income is based on ads, which are tied to activity, it was a formula for failure. This led to changing the platform several times, and it simply never caught up! If OnG.Social wants to be the Next Facebook, and avoid being the Next TSU, this is what they’ll want to do. Don’t change anything from how it is right now. That’s a major one… because eventually change will have to occur. Nothing ever stays the same and if it does, it usually falls behind the times. But OnG.Social has something good on it’s hands right now. The plans for their future, that I have seen so far look great to me. OnG – answering questions directly about their new social media network! If you’ve followed TopnetworkersGroup for a while then you’re aware that we’ve been out in front of these social networks. We aligned ourselves with Crazygood, and put a decent sized team into that opportunity. Through TSU, we also had a large network of referrals who we hoped would benefit greatly. Unfortunately those sites went out of business. That’s all part of business however. Risk comes with anything we attempt to do. As business men and women, we have to ask ourselves if simply using Facebook is good enough for us. 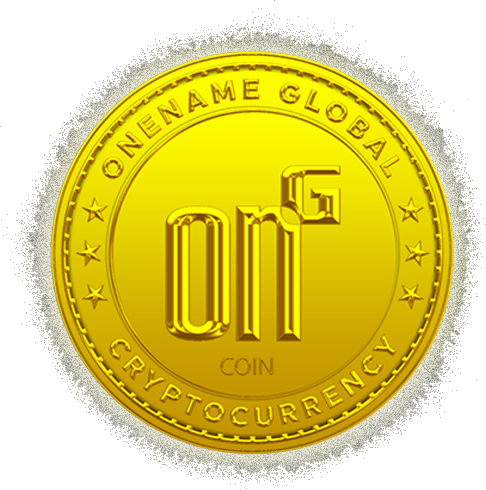 OneNameGlobal (ongCoin) has a vision for us that goes beyond facebook marketing …. You’re invited to check out the new social network here – be sure to add me when you get there. Full disclosure about this TSU Social Network Review: I’ve been using TSU since November of 2014 when they launched this one of a kind platform, and I’ve enjoyed 90% of my time there. Why only 90% you might ask? Well, keep reading as I’m going to get into what I love, and what I didn’t love – during my First Year on TSU. So let’s get into what makes the TSU social network slightly different from the major social networks in our industry today. Naturally we have to start out by mentioning the giants, like Facebook, Twitter and Instagram, because they were largely responsible for ‘the idea’ behind TSU. Also, we have to take a moment to give props to YouTube, for being one of the first social ‘platforms’ to pay their content creators a portion of the ad revenue their videos generate, for YouTube. Several social networks accept advertising dollars but none of them are sharing those profits with us. That is where TSU comes in, and they sure made an entrance! In just the first few weeks TSU crossed the 1 Million Members plateau and has continued to grow ever since. In contrast it took Facebook 10 months, and Twitter took 24 months to reach 1 Million users. Currently the social network has just over 4 Million users; although not all of them are as active as they really should be. What this means is that there is still a HUGE opportunity for anyone who takes advantage of what’s available right now. You’ll find that as you read through my TSU Social network review, I’m going to be frank and honest with you. In fact, that’s what I’ve been the entire time, when I shared some of my thoughts on the Censorship ‘issues’ on the network, some of which are still there. What if people were using the TSU Social Network, like they use Other networks? This is really where our review is going to get good. If you’ve already been looking around then you know by now that TSU is JUST like Facebook. I mean everything you can do on facebook (for the most part) is possible on TSU. I mean, what do we really USE facebook for anyways? Don’t most of us use them to keep in touch with friends and family? Don’t we use them to share what matters to us and to interact with people we like? Well if that’s the case, why are so many of us choosing to do those things on a network that does NOT pay us; when there is a network that will pay us?? That’s really the Million dollar question folks. Right now, far too many people have used TSU ‘to make money’ rather than, using TSU to be social. If you’re looking at making money on TSU, the best way to do that is to just let it happen. Be social and let the rest take care of itself. 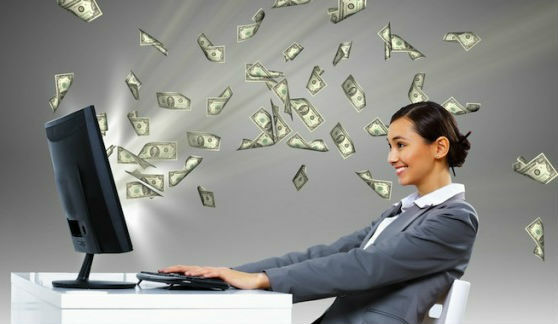 You should be looking for OTHER ways to make money if you NEED money; This is not going to be a quick fix. However if you spend the time to refer others to the social network, who also do the same, you could end up in a VERY good position to benefit financially. Already there are members on TSU who are making $100 per month. There’s also a whole lot of people only making a few dollars, and a few pennies per month. Whether it’s a few pennies or a few dollars; it’s more than you’re going to make on any other social network. But, what if more people were using TSU every single day, like people do on Facebook, Instagram, and Twitter? I mean, the daily traffic on TSU now isn’t too bad. There’s a lot of active users. But what if there were MORE? For example; I’ve referred 65 people to TSU (as of this writing) and have a network of JUST under 700 people. Most of my network is not active. IF they were active, I’d be easily crossing that $100/mo barrier that several others are crossing – every 30 days. But if that were the case – there’d be even MORE money generated. How much do the Censorship and False Flagging issues have to do with people not being as active as they should? Not much at all. The truth is, because people are using it ‘to make money’ when they see a few pennies they decide it’s not ‘worth the time’ ………..
People aren’t all that intelligent. I’m not the first to say this, but we are living in a dumbed down society. There are some people who won’t use TSU just because someone they know might benefit. They’d rather use social networks that Won’t pay them a dime; so that a total stranger can make money from the Content they are sharing every single day. Content matters. Content has value. And the way websites work, if your site is generating traffic – and you’re smart enough to monetize that traffic – you can make some really good money online. Facebook, for example, made over $250 Billion in 2014 – all from advertising; all because of how much Traffic they get each month. How Much Money COULD the TSU Social Network Make You? If you’ve been paying attention – the sky is the limit. But a lot has to happen before TSU really turns into a ‘money maker’ for more people. As each month goes by, more and more people hear about this network. More and more people sign up. Eventually, it’s going to hit a point where ‘famous people’ are endorsing it, and that’s when TSU is going to take off. You know, in our society people don’t do anything unless the ‘celebrities’ endorse it first. While there are a few good celebrity endorsements on there already (Like Carmelo Anthony, 50cent and others) … it’s still not the kind of buzz it needs, to truly compete. That being said – would you rather wait till that happens or get POSITIONED now? Crazygood is a private social network that rolled out in November of 2010. It was a very promising website at the time, due to it’s affordable cost and lucrative compensation plan. Lots of people signed up during the first six months, and then things started to unravel. That wasn’t an issue – however the SPEED of the website always was. Crazygood Slowness, and Newbie Attitudes. The low cost of entry combined with the slow speed of the website caused a lot of the people who joined crazygood to quit just as fast as they signed up. After Six months Crazygood had a lot of Dead accounts; and for the next 6 months I watched more and more people slowly participate less and less. My career in the MLM/affiliate world didn’t begin in 2010 however. I started out in ACN, in 1998. We learned then, that when you find an Opportunity, in order to build an Organization you must first Create an Environment for your team to Win In. 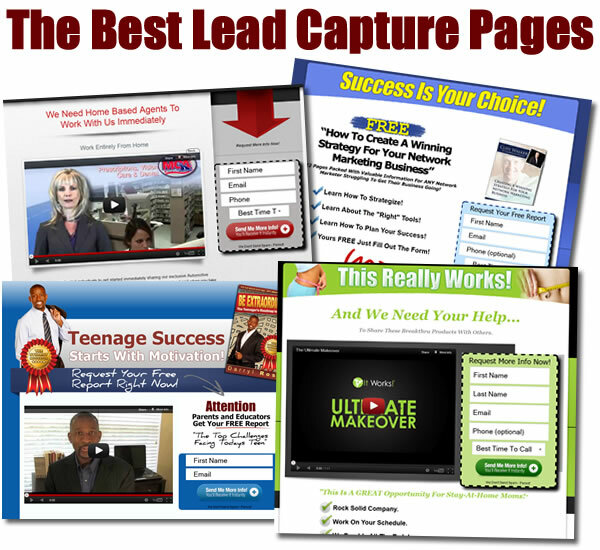 We did that, by creating several Tools to help our Team Market the Opportunity, Capture Leads, and find Real business partners to make money with in Crazygood, and beyond. In my eyes, Crazygood was never the opportunity to retire on; but it Did provide a lucrative earning potential for anyone willing to put in the work. We created a Version of Crazygood’s Earning Worsheet – To Show you The money. What Else We’ve done …. We built an entire Training Website to provide support, and Education so that a Newbie could learn HOW to make money. Most of our team members chose not to use that website; but what else is new in network marketing? In 1998 people would join my company, spend $499 and skip out on Coming to Training Events to Learn how to make money in the business they just signed up for. Even after struggling, several of the people would refuse any education. The idea that perhaps they needed more skill escaped many of them in 1998, all the way up through 2004, before I walked away from ACN, and began building websites for small businesses. However the training and support office is still here, and exists as a Work-a-round for Crazygood; since it’s a bare bones affiliate program with literally no training or support for their affiliates. Depending on ones attitude, this can be seen as a bad thing – OR as a tremendous Opportunity. Me and my business partners decided to be Leaders; and we created even more tools; Including the Crazygood Sales Funnel showing people how they can “Turn $10 into $10,000 per month” – and then rolled out a LIVE OFFICE Where we talk with Members of our team, and their guests – LIVE – using modern technology (the internet) – and lastly, in December of 2012, TopNetworkersGroup unleased the One MLM System to Rule them all – which initially used Crazygood as a Required Program to sign up for, to use our system; but is now one of 2 options, on our $10 Level, that Free members of our team can use to start Earning Money, with the network they build while using our mlm system. To THIS day, Crazygood has Continued to Pay me, month after month. And while I have not made a LOT of money, I can proudly say I’ve been In profit for all 3 years of my involvement with this company. I will even be releasing a funnel soon, that will SHOW YOU the Paypal Proofs; something I never like doing – but am only doing it to prove a point; that if you’re really Hungry to make money, you CAN make money here; you simply need to be willing to Commit to something so that others will follow you; Commit to a team that will work with you, and teach you the things you Do not know – You must leave your EGO at the door, because the truth is – Making money With Crazygood is no Different from Making Money with MCA, Solavei, iLA, ACN, Amway, or Any Other Opportunity in the MLM Industry. The Mechanics, Fundamentals, Techniques, …. the Skillset – whatever you want to call it; it’s all the same. The ones who learn it only struggle to find people that can ‘afford’ the business they are offering. That’s what drew me to the Crazygood opportunity – I saw a way to help people earn money, and build a network – a core value of TopNetworkersGroup today. I have some more ‘specific’ Crazygood Work-a-rounds to share with you – because by no means is this a Perfect Website. I mentioned the slowness, and lack of real community rules in place – no training or support; no marketing materials – they Recently created a Overview Video in just the past 4-5 months; that is a real upgrade; but thankfully We put several tools in place to fill in the gaps, where Crazygood was missing them. If you happened to Join Crazygood and worked with any other team, then you did not have access to these tools. I am old school and am 100% against Stealing people from others; So I recommend you Reactivate your OLD membership – and then simply use our 1mlmsystem to Work with our team, Get Training, and access to the Tools WE provide for members of our team. Read MORE from us – helpful information to put more money into your pocket – IF you take advantage of what we are sharing. When it comes to Opportunity, it is a window – it will close. Some will benefit from the window while it’s open. Others will look for reasons why they couldn’t benefit. We’re not looking to work with those people. We’re looking for winners. We are looking for problem solvers, and solution seekers. Stay tuned for more Work-A-rounds for Crazygood, from TNG – Showing you the way to make money with this, or ANY opportunity in our industry today. For me, this question came to mind because I was interested in adding Adzly Code to my EmpowerNetwork Blog, which uses wordpress as it’s blogging platform. That last sentence was Loaded…. Ever heard of Adzly? – it’s similar to Adwords – but in my opinion, slightly better – take a look. THe other part I mentioned, was EmpowerNetwork – it’s possible you’ve never heard of it either – People are getting “paid to blog” and starting today, you could be one of them. (see the prroof here) – Using the wordpress platform, they’ve created a real opportunity for you and I to get paid … for blogging. This is something I am sure others are seeking to do too. I have been blogging for Several Years – I started with “ThaShow” — and eventually moved away from blogging, and got into the “Social Mediaverse” – aka Facebook. Most people do not realize facebook IS a blog. That is why they call twitter a “micro-blog” ……. make sense yet? A blog is short for Web-Log – hope that helps everyone! I’m using this plug in now, and you can see the adzly advertisement area (on our home page) to the right! Thanks for dropping in and I hope this information has been Helpful for you, as it was right on time for me. I recently Re-opened my blog at EmpowerNetwork – They had lots of bugs initially. 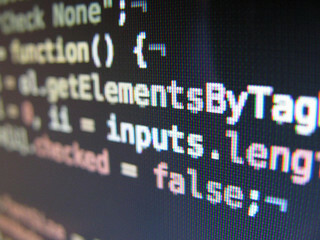 One of those bugs perhaps was caused by giving too many ‘options’ to the members, which may have caused the platform to become unstable. They’ve got much more control over the platform now, and part of that meant limited our ability to download plug ins. I’m ok with that though. I can still blog here, as I intended to do anyway – while sharing awesome information that people will need via my Empower Blog. While there are several ways to earn income from blogging, make sure you don’t miss out on the most lucrative blogging ‘money making’ system that we’ve seen, in the past few years. SWOM Gold Members: Withdraw you Balance! I’ve been one of the foremost promoters of SWOM since I joined in the middle of June 2010 – One of the reasons that I joined Swom, is because I am pretty good at ‘spotting trends’ and this one is a NEW trend that’s not going anywhere. Swom was not the first ‘social network that pays you to be a social networker’ – but it’s concept was new, and fresh; relatively speaking. In the beginning, it was very exciting, as you could actually earn money FOR socially networking with others on the site. Their compensation plan however, Changes. Anyone who understands business, or networking, realizes how important the compensation plan is. If you’re not able to make money in a company, it is not a good business decision to remain there. IF you are operating ‘in the red’ – your business is about to go OUT of business. That is what was happening to many people at SWOM; I didn’t realize it, until it happened to me, but SWOM is going around deactivating members of the site, even GOLD members of the site, for questioning the changes the site has made. Seems the people running SWOM think they are the Gestapo. So if you are a Gold Member with SWOM, it’s IMPORTANT that you protect yourself, and Withdraw your Earnings NOW. Do not leave the balance on the books, because when Swom terminates you, they KEEP YOUR MONEY! As a Gold Member of SWOM, I thought the $25 per month I was paying allowed me to have input in how the site was going; I thought the 35 personal Referrals I brought to the site, many of whom were Gold for a time, allowed me to have input – but when My Input suggested that perhaps SWOM was heading in the wrong direction, I was terminated Immediately. There was No warning Letter. No administrator reached out to discuss anything with me. I was not asked by the people running the site to do anything differently – which is what SHOULD happen, and always happens with successfully run companies… and especially, websites. When Facebook ‘thinks’ you are adding too many friends at once, or thinks you ‘might’ be a bot; they send a warning message. 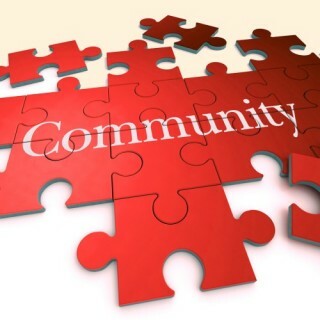 They tell you that if you continue doing something, that they feel is not ‘good for the community’ that you will be removed. Then, AFTER they send that warning, if a person continues, the company has protected itself, by having sent the Warning first. No dissatisfied user can claim, that they were not warned. Had I known there could Potentially be a threat of me being terminated, simply for discussing how the Changes in the Compensation Plan might affect those of that were not only on the site to network, but – let’s be honest – to Make Money. YES, the real value is in the networking, the people you can meet, the fact that many of the members of that community are ‘business minded individuals’ – looking for solid investments, more stable opportunities — BUT, there are Millions of people just like that, on Facebook. The answer to this Objection, MUST be “Because you can Make MONEY to do, what you are already doing for FREE” – or else, it will not attract people to what you’re asking them to be apart of. For presenting this, I was attacked by people who’ve fallen in love with the company… and that is understandable. When we look at the network marketing industry, 97% of people in this industry are NOT Making money. Many of these people remain with Bad companies, that are too challenging for them to make money in; but they’ve fallen in love with the company – or do not want to admit to others, that they picked a company, that isn’t as good as they thought it was when they first signed up; SO instead of making money, they LOSE Money, by remaining with a ship, that is sinking. Many stick with these companies, until those companies go OUT of business; only to find themselves, in love with a company, that was not in Love with them. Because of ongoing scenarios like this, our industry gets a bad reputation. That is one of the reasons I and Other serious networkers are coming together under the Moniker of “The Top Networkers Group” – we want to help create more Professional Networkers, who approach business, LIKE it’s a business – not like it’s a Hobby. That pretty much is what SWOM has become. It went from a great way to earn money; to a place where people are just ‘hanging out’ – and that does not work, for Serious, Professional Marketers, who get into this, to Make Money. This is why I am urging ALL members of SWOM To withdraw your money, before SWOM terminates you for doing something ‘they do not like’ – without warning – and Keeps all of your Hard earned Money … and yes, it’s hard earned. Let’s talk about how the comp plan changed, in just the few short months I was part of their Company. Let’s discuss the original compensation plan. Points = Money. You get a Point for things like, adding friends, interacting with the friends you add, joining groups, and encouraging free members, also known as blue members, to upgrade to Gold – of course only Gold members earn money for their Points, and the value of those points, Vary. This was always iffy, but it worked for a while – they reward you additional, community chest points, for the participation – the more you participate, the more likely you’ll win “CC’s” – and again, for a time, this was good. The issue, is that the Value of the Points continued to go down from month to month. People were earning less money, for the same effort; working harder the next month, to earn even Less than the month before. This made it difficult to KEEP Gold members Gold. While attrition is normal for all companies, your Reputation takes a hit, when you are referring people to a company that continues to pay out LESS and Less each month, to the people who helped build it. At some point, People are going to speak out, and that is what I did. Now, when they made the decision to Terminate my account, I politely asked them to send me the Balance of my Earned Income. They will not respond to my requests. If it happened to me, It will happen to you too. So, to be safe, Withdraw your Earnings – If you want to be Gold, I advise paying them $25 each month – what MOST Gold members on SWOM are doing is, living off of ‘earnings’ – They earned money when people they referred, upgraded to Gold; They earn money when those Gold members Stay Gold. If you’re Earning money, Swom can take your $25 from the balance; So if you earn $100 in a month, you could go 4 months, without paying ‘out of your pocket’ – but again – the RISK – is that you’ll be Terminated, and NEVER see your Money. Yes, I am indeed bothered that I was terminated, without warning, and did not receive my money that I earned. In all jobs, all companies, when people are terminated, let go, or fired, they are Paid for the work they did. When companies like this, are not operating out of a code of ethics, Members of our industry NEED to be notified; We as leaders, have a responsibility to protect our industry, and each other – and we do not need companies like SWOM, giving ‘what we do’ a bad name. What really, I feel, caused SWOM to act to prompt in removing me I was promoting another social network that pays; That network, CrazyGood. They have a much more ‘traditional compensation plan’ that is simple, the earnings do not vary, and you know what you are making for your efforts. My guess is, SWOM is on the verge of going Out of business, and felt threatened. That being said, they should have paid me my money. I’d still promote Crazygood, over joining SWOM, but I’d do so, without feeling that SWOM is possibly scamming people, promising to pay them money, when ‘really’ what they are doing is, looking for ‘reasons’ NOT to. So, Don’t let this happen to you. If you are a Gold Member, Withdraw your Money to AlertPay asap; so that you do not LOSE it – withdraw it EVERY month, to make sure you are able to hold onto it. If you decide, that you’re really not making money with SWOM, that it’s too difficult to earn a profit from month to month – do not give up on the ‘idea’ – just realize you are operating in the wrong ‘company’ – and need to find one that does, what they say they will do. This is the Social Network that I see taking the net by storm, ‘eventually’ – right now this concept is still a Baby; it’s very EARLY to get involved. 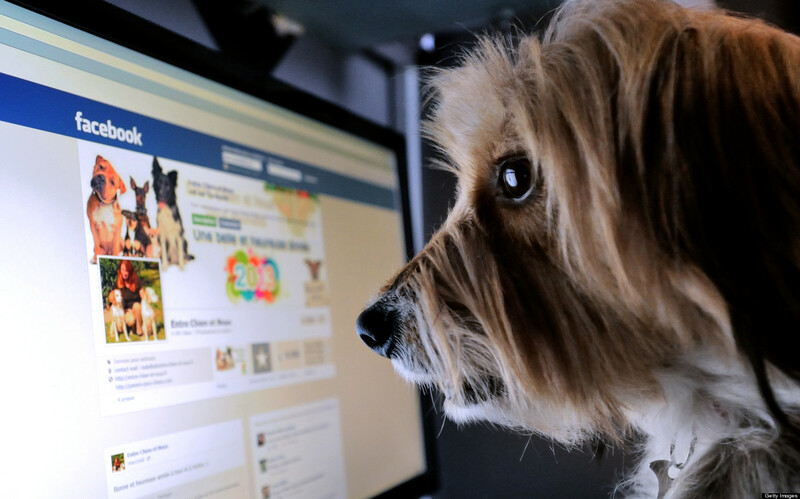 People will not be leaving Facebook, or Myspace anytime soon. And I don’t think people should. Sadly, there will always be people who continue to make others Wealthy, and pass up on the opportunity to make Themselves wealthy as well – but there will also, always be people who will NOT pass up that opportunity. Crazygood is a $10/mo investment – how fast can you find 10 friends, with $10 = how fast you can Eliminate YOUR monthly payment. Help those 10 do the same, and you’re earning $100 Per month, every single month. They help their 10 do the same, and you are earning $1,100 Per Month … You can watch the video below, to see just how Crazy this compensation gets.